Reducing energy consumption is a top priority for every household. In order to achieve this, a thorough inspection of the HVAC system, the electric, as well as the electronic equipment is essential. Replacing old electronic equipment with control solutions that use new technology and are energy efficient yields huge benefits in the long run. Good HVAC systems can save one a substantial amount of money that would otherwise be spent unwisely by investing in highly-consuming energy systems. A good solution is to go for a well installed ventilation system that uses an electric damper. Electric dampers are important in regulation of air flow at homes. Installing electric dampers from FAMCO is a wise investment. Their HVAC system ensures the in and out filtering, regulation and monitoring of the air flow at the optimal level. This reduces the energy expenses. A FAMCO HVAC electric damper is installed in such a way that it regulates the airflow that is restricted and adjusted to attain the requirements of the owner’s home. There is need for periodic venting in unused homes due to them becoming stagnant with foul air, thus turning them warm, stuffy and stifling. FAMCO electric dampers will solve this problem by regulating the air flow, temperature and humidity. It can be done before you enter the room for the first time or have it periodically ventilated. 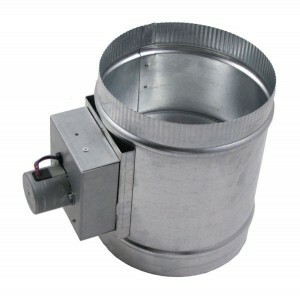 There are two models of electric dampers that FAMCO provides; open and closed models. The ADC is closed with power open and spring return whereas the ADO is open with power close and spring return. They have a switch mechanism that is able to detect the level of comfort reached and retain it at the desired point. The FAMCO HVAC electric dampers consist of multi-blade options. They operate on a spring that functions by returning the blade to its original position with the power open/close option that operates on 24 volt or 120 volt motor. All FAMCO ADC and ADO units that lack end switches have a flow control adjuster that can open or close the damper blade. Other electric dampers have end switches that cut off power on reaching the full power position. The floating motor mount design ensures that the motor, damper and shaft are properly aligned to prevent binding. The clutch/coupler reduces the number of moving parts to prolong its period of usage.